A software update is now available that makes several adjustments to enhance the overall experience. Please start the game while your Wii U console is connected to the internet to update the software. The software version after this update will be 2.7.0, as shown in the screenshot below. Please note: the new weapons will appear in the shop following the release of the software update. Adjustments to main weapons, sub weapons and special weapons, as well as changes to attacks that reveal enemy positions. Click here for more information (PDF, 331 kB). Saltspray Rig: Adjustments to prevent players from taking certain shortcuts in all modes. Flounder Heights: Adjustments to prevent users from taking certain shortcuts in Tower Control mode. Fixes an issue wherein players could perform a Super Jump while holding the Rainmaker if their connection speed was exceptionally slow. Fixes an issue wherein on rare occasions players near to a Splash Wall wouldn’t suffer damage, even before the Splash Wall is activated. Fixes an issue wherein if a placed Suction Bomb comes into contact with a Splash Wall and explodes, sometimes the blast damage would go beyond the Splash Wall. 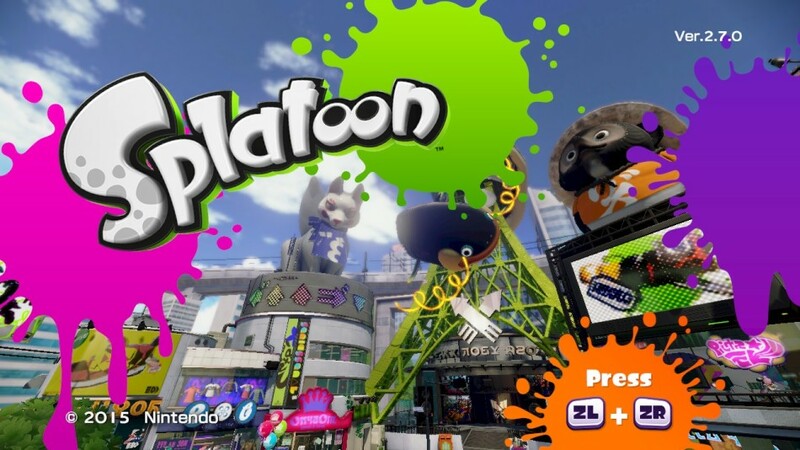 Fixes an issue wherein opponents completely hidden by obstacles in the way could be hit by an Inkzooka or Rainmaker attack fired upwards. Fixes an issue wherein Splash Walls would sometimes not take damage when hit by an Inkzooka or Rainmaker attack. Fixes an issue wherein players could hit opponents on the other side of a Splash Wall with a Rainmaker attack, depending on the position where it hits the Splash Wall. Fixes an issue wherein if multiple players set an Ink Mine at the same time, they would sometimes explode on their own, despite not being painted in the opposing colour, no opposing players being close and their maximum time before automatically exploding not being reached. Fixes an issue wherein players could take damage from a friendly Ink Mine, depending on their relative position. Fixes an issue wherein when aiming at a Kraken on the ground the display wouldn’t change to a cross to indicate it would hit, despite the crosshairs being over the target, and where Seekers would not follow Krakens. Please note: 764 MB of available storage is required to perform this software update. Depending on the Wii U hardware pack you own and your use of it, an additional storage device may be required. Please visit our Storage section for details about additional storage devices.